By cnsweb|2019-03-19T10:09:26-07:00March 19th, 2019|Uncategorized|Comments Off on How can Microsoft help me understand my current security posture and get recommendations on how to improve? Managing security can be overwhelming, especially for a large enterprise. Piecing together a web of disconnected security programs and strategies to address individual problems only adds to the confusion.Microsoft 365 gives you the tools to gain visibility across your current security posture, address current problems, and provide strategies to protect your organization moving forward.Enterprise-wide security suddenly became manageable. At Capital Network Solutions, Inc., we can't wait to help you get started. Contact us to learn more. 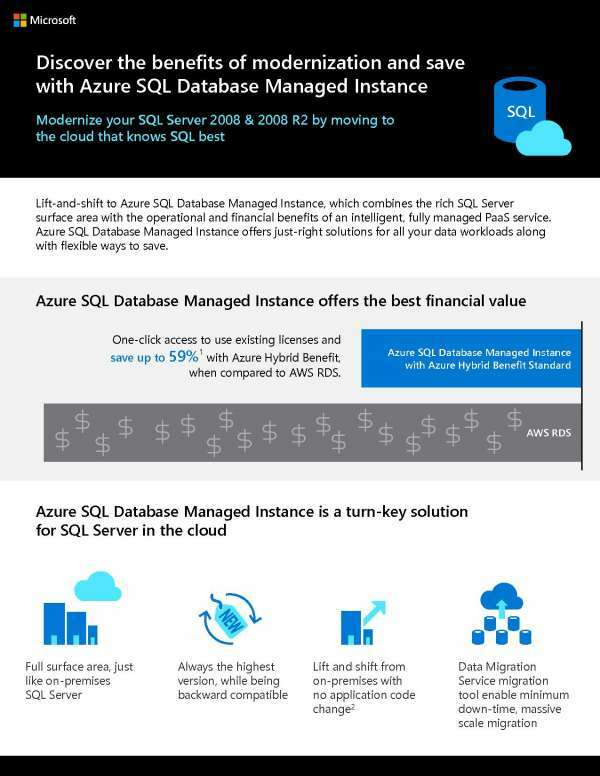 By cnsweb|2019-03-19T08:10:38-07:00March 19th, 2019|Uncategorized|Comments Off on SQL Database Engine Blog: What is Azure SQL Database Managed Instance? Still not sure what we mean when we talk about Azure SQL Database Managed Instance? What separates it from other Azure offerings? What does "Managed Instance" mean? What would an SQL database look like from the cloud? Small businesses deserve the benefits of the cloud as much as any other company, and now they can do so without worrying about the security of their data. 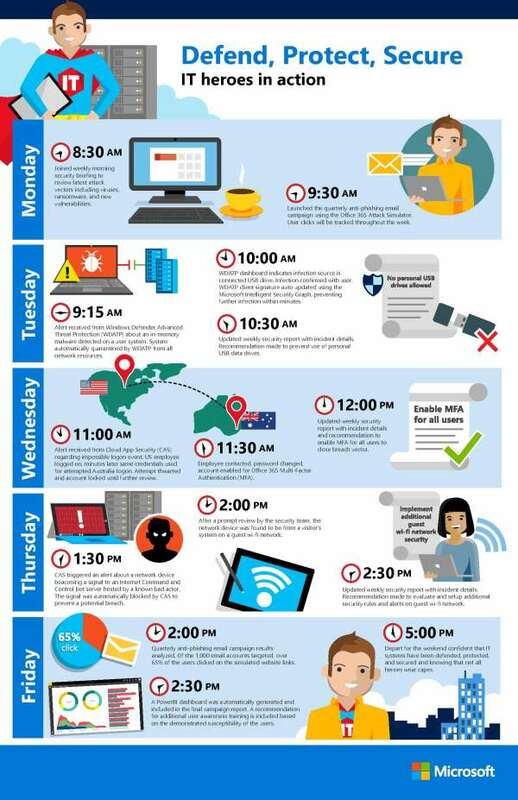 Click above to watch a video that shows how Office 365 protects your important business data. What does End of Support mean? 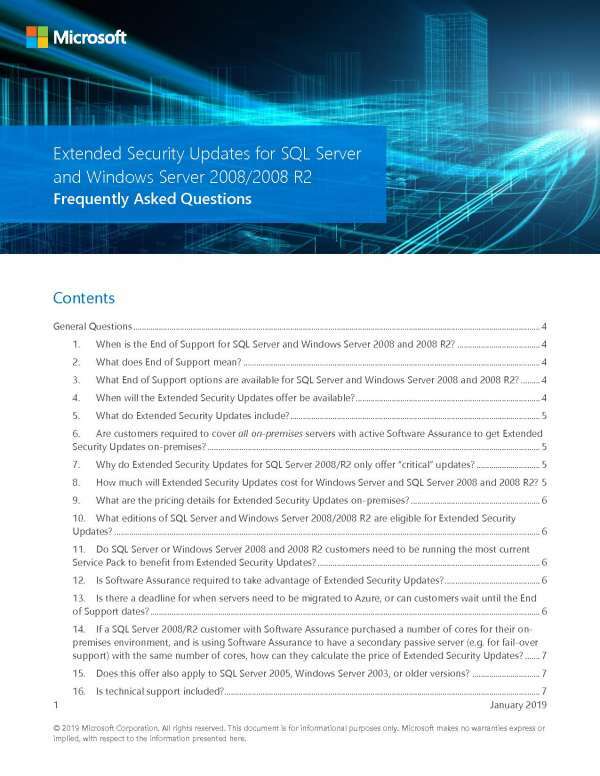 What do Extended Security Updates include? What options do I have to run my SQL Server in Azure?In this time of change, we have the answers to these questions and many more! At Capital Network Solutions, Inc., we are excited about the benefits that come with moving forward, particularly forward to the cloud, and we want to help you get there stress free.This begins with answering questions and providing support as your business transitions from Windows Server or SQL Server 2008/2008 R2 into the cloud. Contact us to start the move today. In a constant attempt to unify communications at Microsoft, they seek a perpetual state of transformation. 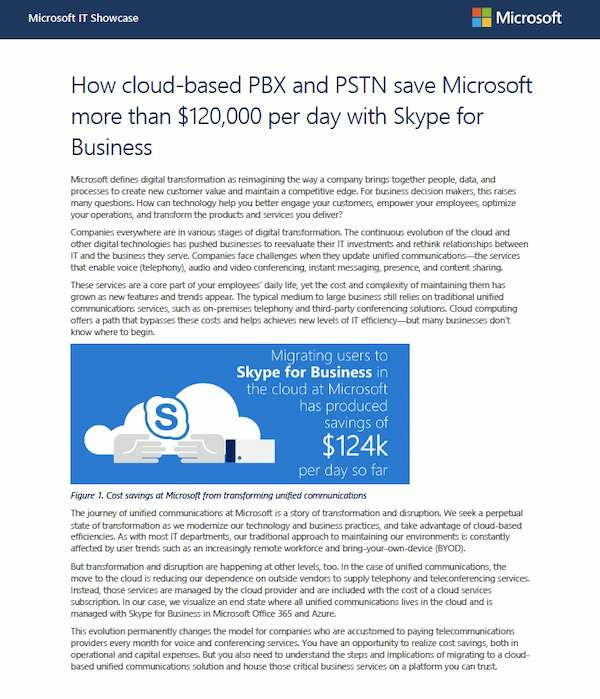 Leveraging the advantages of cloud-based communication is one area that they have found substantial gains. Using Skype enables their employees to work remotely and encourages them to bring-their-own-device. Your business can leverage those same modern digital advantages by integrating the solutions just like Skype.At Capital Network Solutions, Inc., we're knowledgeable in the space and can help you to transform your business. Contact us to find out how we can help. Ready to make the move to the cloud? When it comes to choosing a PaaS cloud provider, you shouldn't have to choose between price and quality.Azure SQL Database Managed Instance offers innovative Machine Learning-based performance and security insights and unparalleled support while still saving your business 59% compared to AWS RDS. That's cash you can reinvest in your business to bring more value to your customers.To learn more about specific offerings and benefits, check out this infographic or contact us. At Capital Network Solutions, Inc., we want to help your business realize all the advantages of the cloud. By cnsweb|2019-03-12T08:17:39-07:00March 12th, 2019|Uncategorized|Comments Off on How do I find and manage shadow IT and rogue devices, and put policies in place to ensure we remain secure? Picture this: your sales team leader excitedly tells you about their new plan to use cloud apps and the latest devices to become more mobile and better reach clients. 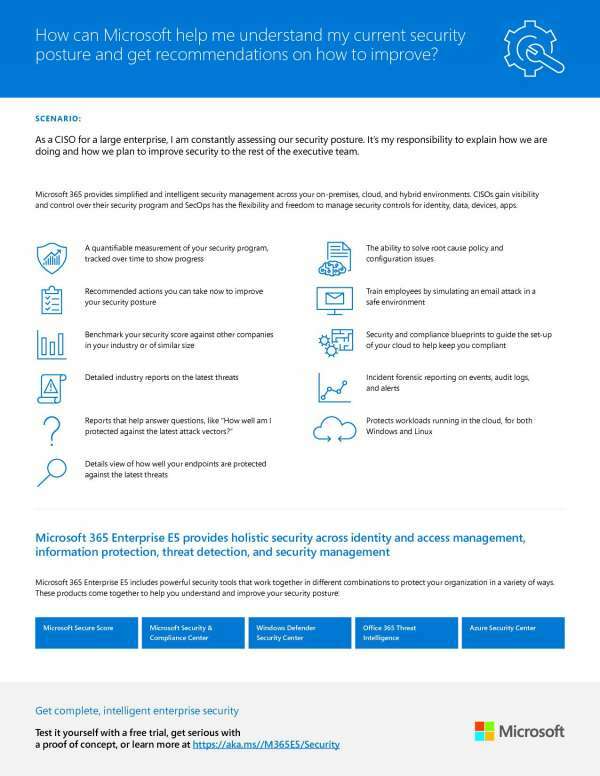 As the security advisor, your first thought is that more endpoints mean more risk for data security.With the tools from Microsoft 365, you don't have to stress anymore. 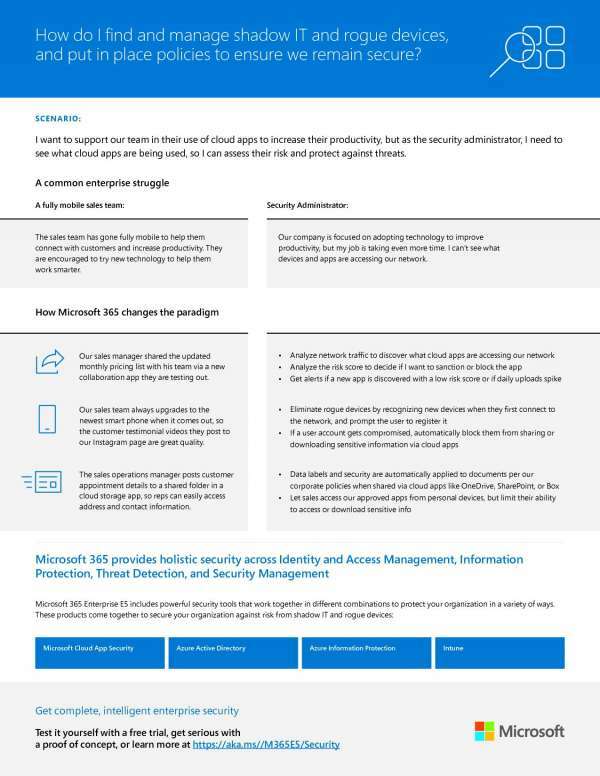 You can analyze the risk of each app used, monitor for login attempts from suspicious devices, and protect sensitive data wherever it travels--all through Microsoft 365.Don't let security concerns stand in the way of progress. Give your IT team the tools they need to help the rest of your business thrive. Are you still using that same old email platform? If so, it's probably time to upgrade. 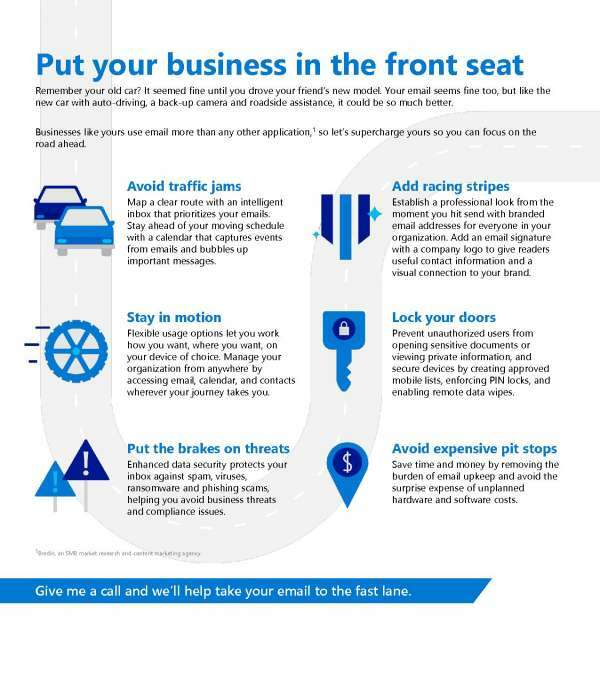 Get the most for your business by leveraging the unique opportunities that using a modern email platform can bring: access email from anywhere, on any device and keep your information safe with document access controls and remote data wipes. Avoid the maintenance and surprise expense of hardware and software costs.At Capital Network Solutions, Inc., we know that with the right email platform, your business will free up time and money. Contact us to learn how we can help you to bring your email platform to the modern digital age. With today's technological capabilities, there is no reason you shouldn't know what's going on in your business at all times. That's what SitePro thought, which is why they developed an app that creates a digital oil field for their customers.The real-time machine monitoring SitePro provides, allows its customers to create a safer, more efficient workplace, sending technicians out when needed to perform preventive maintenance.When SitePro combined this app with the scalable and near-instantaneous data processing capabilities of the Azure cloud, they were able to accomplish this task better than ever before.Want to visualize your entire workplace? Contact us to learn more. Defend, protect, secure. IT heroes in action. 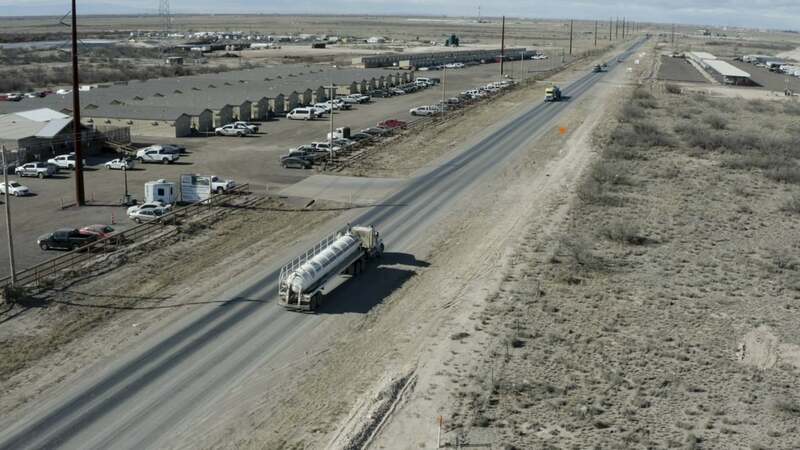 By cnsweb|2019-03-11T10:02:46-07:00March 11th, 2019|Uncategorized|Comments Off on Defend, protect, secure. IT heroes in action. The IT professionals in your office do far more than just help you reset your password or recover files from a crashed computer. From the first thing Monday morning onward, these heroes are hard at work protecting your organization.IT is always at the ready to respond to threats when detected through tools like Windows Defender Advanced Threat Protection and Cloud App Security, all while laying the groundwork to avoid future attacks.The security features in Microsoft 365 can help your IT heroes perform their jobs more effectively. Give them the help they deserve with tools that benefit your entire organization. Contact us to learn more.